October is LGBT History Month. To celebrate there are some screenings of ‘Out of the Closets, Into the Streets’. On Sunday 16th July join us for a panel discussion about the remarkable stories of Aboriginal heroes of bushfires and floods in the 19th century. ‘Out of the Closets’ is an Official Selection at the St Kilda Film Festival. 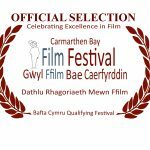 ‘The Last Goodbye’ is an Official Selection at the Carmarthen Bay Film Festival.